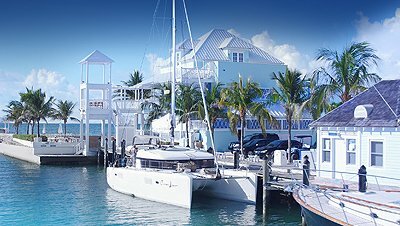 Luxury apartments and penthouses for sale in Nassau located in a beachfront community overlooking the No.1 marina in The Bahamas. 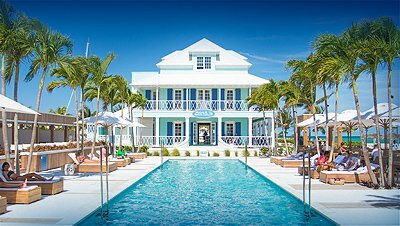 These beautiful homes front directly onto the marina within the grounds of our 69-acre resort and feature a gated residential community with exclusive access to 1,200 linear feet of powder-soft white sand beaches and our full-service, deep-water, 194-slip marina. 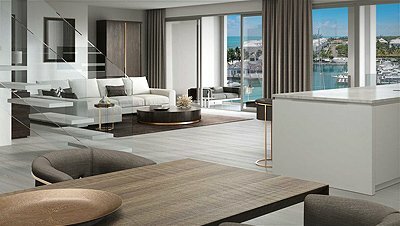 One Marina is the figurative centre piece of the vibrant hub of Members Beach Club, restaurant, cafe, fitness center and Marina, allowing for an intimate experience of the luxury Caribbean lifestyle. Explore our beautiful homes, each one offering luxury amenities with stunning marina and ocean views. One Marina has been awarded one of the 2018/19 World’s Best Real Estate Developments by the panel of the prestigious International Property Awards. We are delighted to receive the award for a second time in 3 years!